Napsal uživatel ruzicka dne Út, 04/11/2017 - 15:52. Before I continue, I wish to thank publicly all those who, in the past decades, have worked resolutely and unrelentingly to preserve Patocka’s philosophical heritage: up through 1989, under the difficult conditions of a totalitarian regime, and since then as editors of the Collected Works, now appearing through the meticulous care of the Patocka Archive in Prague. It is thanks to all these courageous and hard-working people that we may now study the whole of Patocka’s philosophy, delve into the deep, wonderful, and adventurous world of his thought. There are surely quite a few names meriting mention here. I believe, however, that Ivan Chvatik deserves the highest credit and appreciation as the main architect and genuine founding father of the project. According to its founding declaration dated January 1, 1977, Charter 77 was created as „a loose, informal and open association of people of various shades of opinion, faiths and professions, united by the will to strive individually and collectively for the respecting of civic and human rights in our own country and throughout the world.” The legal basis for Charter 77’s future activities was the entry into force of two major United Nations human rights covenants, published in the Czechoslovak Register of Laws No. 120 of October 13, 1976. Signatories came from all walks of life – Christians of various denominations, Jews, ex-Communists expelled from the party for their revolt in 1968, independent liberal intellectuals and quite a few young people with no specific background, creed, goals or expectations. They may have had different motives for signing, and most did not pay much attention to the legal reasoning of the founding declaration, yet all sent one and the same message to the Czechoslovak authorities: we cannot remain silent, with hypocrisy as an accepted norm in today’s Czechoslovakia, where all basic human rights exist, regrettably, on paper alone and many people have become victims of a virtual apartheid. Patocka not only joined this Central European tea party, but agreed to assume the role of one of the three Charter 77 spokespersons. In this capacity, he wrote a series of texts which – as he died shortly afterwards of a stroke suffered following prolonged police interrogations – are now regarded as a kind of political testament. Do these texts, now included in Volume 12 of Patocka’s Collected Works, have something to say that should not escape our attention here? It is clear that Patocka did not write them in an environment that would generally be considered as opportune for philosophizing: in tranquil isolation, given a chance – to paraphrase Parmenides’ ancient poem – to set out upon the well-spoken path of the Goddess (es hodon polyph mon daimonos), lying far indeed from the beaten paths of humus (tón d’hodón – h gar ap’ anthrópón ektos patou estin). Quite the contrary, he wrote them in the midst of the most serious political struggle he had ever engaged in, interrogated daily by the secret police and threatened by the State Prosecutor with charges of subversion and antisocialist activities. When one reads these texts thirty years later, it is nonetheless obvious that, in spite of their focus on actual matters connected with the extremely difficult first weeks of existence of Charter 77, it is a philosopher who is speaking: a philosopher well aware that his audience is not the usual academia, but the entire polis, all of his fellow citizens, whom he must address accordingly, i.e., not as a Parmenidian or Platonic scholar, with his spritual eye turned to the sphere above the heavens, but after the fashion of Socrates, the first, as Cicero put it in his Tusculan Disputations, who called philosophy down from heaven, and placed it in cities, and introduced it even in homes, and drove it to inquire about life and customs and things good and evil. In the frequently quoted text What Charter 77 Is and What It Is Not, Patocka brings to everyone’s clear consciousness the truths of which we are all in some sense aware. The idea of human rights is nothing other than the conviction that even states, even society as a whole, are subject to the sovereignty of moral sentiment: that they recognize something unconditional that is higher than they are, something that is binding even on them, sacred (inviolable), and that in their power to establish and maintain a rule of law, they seek to express this recognition. The concept of human rights in the international covenants the authors of the Charter 77 manifesto were referring to has its roots in the European Enlightment of the late eighteenth century. Patocka’s moral argumentation, his invocation of the truths of which we are all in some sense aware,“ sounds, however, more like a voice out of a distant past, reviving something that does not really fit into the contemporary human rights discourse, but rather hearkens back to premodern, largely abandoned spiritual traditions. His argument that respect for human rights represents the moral foundation of all human societies (and no society, he says, can function without such a foundation!) – that such rights are constituted, not simply by human nature, but through our recognition of the sovereignty of moral sentiment – shifts our focus from the modern emancipated individual, perceived as their bearer or „owner“ (possessing them simply as something he or she is “entitled” to), to the age-old conflict between politics and philosophy. It turns our attention to the trial of Socrates, who seems to have been the main source of inspiration for Patocka’s approach to political matters in general, his great example and precursor with regard to his own activities in the public realm. The similarity between Patocka and Socrates – in Patocka’s words (quoting Heidegger), perhaps not the greatest, but . . . the most authentic philosopher calls for some comments. Let me quote what Hegel has to say about certain widespread Socratic traditions in his Lectures on the History of Philosophy: Indem Sokrates auf diese Weise der Moralphilosophie ihre Enstehung gab . . ., hat ihn alle Folgezeit des moralischen Geschwätzes und der Popularphilosophie zu ihrem Patron und Heiligen erklärt, und ihn zum rechtfertigenden Deckmantel aller Unphilosophie erhoben; wozu noch vollends kam, daß sein Tod ihm das populär-rührende Interesse des Unschuldig- Leidens gab. Patocka’s Socratic appeal in his Charter 77 texts escapes, without a doubt, Hegel’s taunting remarks. He is a genuine philosopher, speaking from the apeirontic depth of his thought. One could draw another parallel, inasmuch as Socrates, in the Apology, states that he felt, since childhood, the call to obey his „inner oracle.“ Patocka’s Socratism too is something that was present throughout his philosophical life, long before his open conflict with the Czech polis. From his early writings in the 1930s to the 1977 Charter texts, Patocka grappled with the problem of „negative Platonism,“ the problem of returning from Plato’s positive doctrine of separately existing Ideas to the essentially negative and dialectic wisdom of his master. He repeatedly expressed his conviction that the real beginning of philosophy does not lie in Socrates’ words, in his logos, but in his deed „Socrates is this deed.“ In this sense, philosophy’s most important task is not to speculate in abstracto but, as Patocka wrote already in 1936, at age twenty-nine, to criticize life in all its components and manifestations , to express what society has hitherto wanted without being aware of it, to put into words its unvoiced tendencies, but also to show what is behind them, to clarify their essence, their genesis, their intricacies and problems, and to attempt then to resolve them. Socrates discovered man as the being most different from all others – the human being as originally unfinished, yet committed unto his own hands in order to understand his essential will and to give meaning to his life. For such a being, the events of life must take on significance; and a being for whom events have significance is a historical being. Socrates is the discoverer of human historicity. This is the point. It is precisely this discovery that contemporary philosophy – after all its confusions, willfulness, and erratic moves, all its fruitless efforts to do away with or seemingly overcome the metaphysics of the past – should choose, according to Patocka, as its starting-point. It is to Socrates and his finite human wisdom, h anthropin sophia ,  that we look today for guidance and inspiration at our historical crossroads, at this moment of deep spiritual and political crisis in Western civilization. Patocka concludes: si licet parva comparare magni, philosophy is starting over again with Socrates. What does this statement mean? If what the Socratic beginning is all about is not Socrates’ word alone, but his deed, where do we begin? I will come back later to the Socratic element in Patocka’s Charter 77 texts. Let me first digress from this theme to comment on a viewpoint which seems clearly to have had a significant influence on Patocka, at least in the final stage of his philosophical life: the point of view introduced into contemporary philosophical discourse on political matters by Hannah Arendt. „I avoid the expression political philosophy,“ Arendt remarked to Günter Gaus in a radio interview in 1964, later published in a collection of her essays, because it is „extremely burdened by tradition,“  by a deeply rooted conviction of philosophers that political matters can be approached philosophically, from the standpoint of a thinker who isolates himself from all his fellows in order to think. If politics and philosophy are to be brought together, what must serve as a starting-point is their tense relationship, the vital tension between man as a thinking being and man as an acting being. Given this tension, the human matters here at issue cannot be dealt with from a neutral, objective perspective, as when speaking of nature, as if one were to become all of a sudden a spokesperson for the whole of humankind. Human matters are always given us as something relating to our own lives, in the unique situation in which we find ourselves, in our concrete existence, in our concrete historical society. In the same vein, Arendt wrote in 1956, in a letter to her teacher and lifelong friend Karl Jaspers: “Nun habe ich den Verdacht, . . . daß diese abendländische Philosophie nie einen reinen Begriff des Politischen gehabt hat und auch nicht haben konnte, weil sie notgedrungen von dem Menschen sprach und die Tatsache der Pluralität nebenbei behandelte. There is an essential prerequisite if future totalitarian tendencies in our thought are to be averted. What must be overcome, as Arendt emphasized in her conversation with Günter Gaus, is the extreme burden of the tradition of Western political philosophy. Does this mean that this tradition is to be discarded? No. What Arendt suggests is that Western political philosophy should be examined in a new way. In the realm of the political, we should first of all free ourselves of the perspective of One Omniscient Knower that dominates our Western epistemology. We should adopt a worldview springing from the primordial tension between acting and thinking, politics and philosophy. What should be rediscovered, or rather contituted anew, by the proposed Arendtian turn is, as she wrote to Jaspers, the pure concept of the political that „Western philosophy has never had, and could not have.“ What should be carefully thought through is what this philosophy has dealt with tangentially and passed by without proper attention: the fact of plurality, i.e., the fact that plurality is a fundamental aspect of the human condition. 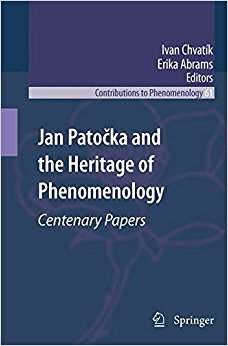 Patocka seems to have discovered the thought of Hannah Arendt only in 1970, when working on his last big project, the Heretical Essays in the Philosophy of History. He resumes, for his own analyses, Arendt’s elementary distinctions between labor, work and action – three fundamental human activities, each of which corresponds to one of the basic conditions under which life on earth has been given to man – referring these concepts back to the part of the Nicomachean Ethics where Aristotle differentiates between various forms of free human life – the life of gratification or enjoyment (bios apolaustikos), the life of politics or action (bios politikos), and the life of contemplation or study (bios theóretikos). There is no doubt that Patocka used Arendtian distinctions, in a coherent and creative manner, in his search for the origins of European history. Nonetheless, in going through all his references to her analyses and observations, not only in the final text of the Heretical Essays, but also in the preparatory manuscripts and lectures from this period, I was puzzled by his total silence as concerns Arendt’s central point: human plurality as an essential aspect of our human condition, neglected by Western political philosophy. How can he have accepted some of her greatest insights, while at the same time closing his eyes to core elements of the revolution she wrought in contemporary political thinking? Does this mean that Patocka, in spite of his own deep insights into the origins of European politics and philosophy, articulated with great intellectual strength and passion in his Heretical Essays in the Philosophy of History, remained captive of the Western tradition which Arendt saw as an extreme burden? That, despite all his efforts to restore the link between philosophy and the spirit of the polis in his investigations of Europe’s origins, Patocka simply missed what, according to Arendt, is the living heart of political phenomena? That he too is one of those philosophers who have no pure concept of the political, and by whom the fact of plurality has been dealt with tangentially? The answer is clearly no. To clarify this point, we would need a precise and sufficiently detailed comparison of Arendt’s and Patocka’s interpretations of the relation between politics and philosophy, of the “tension between man as a thinking being and man as an acting being. I cannot broach this subject in the framework of today’s short talk. What I can and shall do instead – to defend Patocka against possible questions and critiques on the part of Arendtians – will be based solely on my experience with Charter 77 and my rereading of his texts about it. His resort to moral argument, to the truths of which we are all in some sense aware, proves clearly that Patocka remained, to the end of his life, a Socratic philosopher, forced rather by circumstances than by a desire for political engagement to assume an active role in public affairs. There is, in these texts, a good deal of evidence that he was indeed always a thinker and never a politician; he went public, in a Czechoslovakia sick with the totalitarian plague, not to engage himself in politics properly speaking, but to think out loud and publicly inquire into the roots of our political crisis with the philosophical help of his old Socratic questions and ideas. Surprisingly, regardless of his possible neglect of human plurality in his philosophy of history and his reflection on Europe’s foundations, his Socratic action contributed subs tantially to the opening of a new public space where human plurality could re-emerge in the specific phenomenon of a parallel polis. It was precisely this body politic, destined to live a mere thirteen years – certainly not just a courageous and virtuous, but in many ways a bizarre and problematic community of the shaken, composed not only of the signatories of Charter 77, with their various opinions, faiths and professions, but also of many others, resolved to resist totalitarianism on their own terms – that has remained as part and parcel of Patocka’s spiritual inheritance, left by no testament to future generations. Rereading Patocka’s Charter 77 texts thirty years after the facts, I had to struggle, for obvious reasons, with my own idiosyncrasies. While a bygone world has left its mark on these documents, when read as a whole – six short pieces, in chronological order – they may be compared to Socrates’ three consecutive speeches before the Athenian court which, if we can trust Plato, go to make up his Apology. These six texts either articulate Patocka’s own views on Charter 77’s essence and mission, or react to different Instigations – the malicious media campaign against Charter 77, the threats of the State Prosecutor, questions raised by foreign journalists or circulating among the general public. They reflect the events of the last weeks of Patocka’s life, yet all deal with one and the same old question: what, apart from its recognized customs, its valid laws, its form of government and all the practical aspects of daily affairs, enables a body politic to exist qua body politic? Whatever politicians themselves may have to say to this point – whether they appeal to religion or to ideology, to enlightened self-interest or to collective well-being as the elementary raison d’ tre of a state – their answers are, from Patocka’s Socratic perspective, either insufficient or totally irrelevant. The adequate response to this question cannot come from their realm, but only from a higher sphere, above, or shall we say rather outside of politics. Even states, having the power to enact and enforce binding laws, must first and foremost honor the rule of law. Even sovereign states are obliged to respect the elementary fact that our humanity has precedence over any political role we may be assigned to or pressed to play as citizens. Not only individual human beings, but states and society as a whole are, by necessity, subject to the sovereignty of moral sentiment. Sticking to this simple premise, signing Charter 77 cannot be perceived, according to Patocka, as a political act in the strict sense. Charter 77 constitutes no competition or interference with political power in any of its functions hence, it is neither an association, nor an organization, but a simple outgrowth of the conviction that no society can function without a moral foundation. Patocka not only renewed Socrates’ basic question, but revived his very spirit in the pages he devoted to Charter 77. When he spoke of the Charter 77 manifesto as an expression of the joy of our citizens to see their country, through its signature confirming human rights and giving this document force of law in Czechoslovakia, acknowledge the higher, moral basis of all things politic, an expression of the[ir] willingness to do their part in bringing about the realization and public fufillment of the principles guiding the newly adopted human rights obligations, it was an irony that could only be understood as a slap in the face to Communist powerholders. His observation that, after the fierce attacks on Charter 77 signatories, people have once more become aware that there are things for which it is worthwhile to suffer, that the things for which we might have to suffer are those which make life worthwhile, necessarily took on, for the attackers, the meaning of an all-out declaration of war. When the secret police started interrogating and trying to intimidate him day after day, hounding him to his death, his reaction to these threats was a clear act of Socratic courage. There is, however, one argument advanced by Patocka in his Charter 77 texts that compels further examination: Charter 77, he writes, never sought more than to educate. But what does that mean? Each individual must learn for himself, though he can often be affected by examples, warned by bad results, or taught by dialogue and discussion. We all recall the exchange, in the Apology, between Socrates and his accusers concerning the problem of the education of youth. Who is a good educator and, on the contrary, who corrupts the young? In Ancient Athens, the polis itself was held to be the best educator,  but what happens, then, in times of crisis? Is the best teacher still the mass of law-abiding citizens, the polis as a whole, with its dubious customs and decadent culture, or rather the philosopher? Socrates’ answer to this question, and the verdict of the Athenians, are well known. From that point on, polis and philosophy went their separate ways. This divorce brings us back to Arendt’s argument that plurality is a fundamental aspect of the human condition and that today, perhaps more than ever before, our thought should include a “pure concept of the political. Does the Socratic choice – the choice of being in unity, in agreement with oneself, over being in harmonious relations with all others in the polis – always lead to philosophy’s profound alienation from public affairs, as was apparently the case in all the Socratic schools, starting with Plato’s Academy, after the death of Socrates? Or is there still a chance that the polis may, after all, be reformed, or even saved, through the force of the Socratic deed? With the same proviso Patocka made when speaking of this deed – si licet parva comparare magnis – I believe he himself, through his own Socratic action, proved that the answer to this question need at least not always be negative. Though the dissident parallel polis was an unusual and imperfect body politic – totally dependent on the bigger whole it was but a tiny part of, living under state repression, in a permanent state of siege, just a bunch of self-appointed citizens with no territory or protective walls – surprisingly enough, it did manage to start something genuinely new. It was a vulnerable, colourful, bizarre entity, yet a new beginning! Those who signed the founding declaration of Charter 77 may have been initially motivated more Socratico, by the desire to live in peace with their own souls, in unity with themselves. They discovered, however, in the course of events, that launching into this adventure was not a mere matter of personal integrity, constituted in the silent dialogue between me and myself. They discovered what it means to leave the protective walls of one ’s private life, to step into the public arena and call on one’s fellows. They discovered the binding power of acting together. They discovered that the essential political virtue is not success in the struggle for power, but rather the building of trust, the ability to take concerted action, the readiness of each and every one to support the others in the face of danger, to maintain the spirit of solidarity. In short, they discovered, each in his or her own way, on his or her own terms, the same fact that Arendt held to be a fundamental prerequisite of political life: the fact of plurality, essential to our human condition, yet dangerously absent from the basic concepts of our political thought. With this quite simple, yet practical discovery in mind, I shall in conclusion go back once more to human rights. When we read Jan Patocka’s Charter 77 texts, it is immediately obvious that the author is not a lawyer, but a philosopher. His assertion that the obligation of states to respect human rights can be inferred from their being subject in general to the “sovereignty of moral sentiment” is simply too fuzzy for jurisprudence. In order to be understood in the context of contemporary public international law, it would have to be translated into legalese, and would certainly need to be more specific – for instance, regarding international responsibilities ensuing from the violation of this obligation and possible compulsory measures that could be brought to bear on a nonyielding, unrepentant violator. The question of the legal subjectivity of individuals in contemporary international human rights law is also, without a doubt, a great deal more complicated than Patocka’s straightforward view of self-defence in the field of human rights as the civic duty of individuals, stemming from their moral beliefs and convictions. Lawyers, of course, have full right to raise their professional questions, as they were invited to do in the early stages of Charter 77, when Patocka was writing his last texts. They are, however, at risk of missing the main point of Patocka’s Socratic deed and legacy – as actually happened in the days following the publication of the Charter 77 manifesto on January 5, 1977, some being blinded by juridical rigor, others acting simply out of fear and opportunism. In actual fact, the focus on human rights is not only an outgrowth of the moral conviction of isolated individual citizens. It is also the main contents of their non-political politics. It is the only political program, the only political objective their parallel polis ever had, other than the general call for governments to obey their own laws: the strengthening of respect for a new principle, a new rule of conduct in the international realm, which is slowly gaining ground in the contemporary phase of human history, i.e., the rule of law instead of a mere balance of power in international relations – the conviction expressed by Patocka, in his first text on Charter 77, that here also, and not only in the domestic affairs of nation-states, politics should be subordinated to justice, not vice versa. The world has undeniably changed in the past thirty years. Since 1989, Communism is a bygone thing in Europe. Charter 77 has retired from active business a long time ago, and only three aging former spokespersons now guard its legacy. Czechoslovakia has disappeared from the map, but both the Czech Republic and Slovakia are free countries, members of NATO and the EU. Europe is reunited, the old bipolar stability irretrievably gone. Everything seems to be in flux. What would Jan Patocka have to say to all this? It’s hard to guess. Observing the political processes we are part of, endeavoring to understand the world around us with its new opportunities, its dangers and challenges, our best bet is to hearken anew to his questions, renewed from a distant past: such is Patocka’s Socratic message for the twenty-first century. Quoted from the English version of the “Manifesto of Charter 77” conserved in the Library of Congress (http://rs6.loc.gov/frd/cs/czechoslovakia/cs_appnd.html). PARMENIDES, “Peri physeos,” in Herman DIELS (ed. ), Die Fragmente der Vorsokratiker; English version, ed. and transl. A. F. Randal, quoted from The Classic Internet Library. Jan PATOCKA, “Čím je a čím není Charta 77,” in Sebrané spisy, sv. 12, Češi I, ed. K. Palek and I. Chvatík (Praha: OIKOYMENH, 2006), p. 429; quoted from the English translation: “The Obligation to Resist Injustice,” in Philosophy and Selected Writings, ed. and transl. E. Kohák (Chicago and London: University of Chicago Press, 1989), p. 341. Socrates did nothing, according to his own words reproduced by Plato, but to go about persuading Athenians, young and old, not to take thought for their persons and properties, “but firstly and chiefly to care about the greatest improvement of the soul.” PLATO, Apology of Socrates, 30a8-30b1, transl. B. Jowett, The Internet Classics Archive (www.classics.mit.edu/Plato/apology.html). Jan PATOCKA, “Mají dějiny smysl?” in Kacířské eseje o filosofii dějin, Sebrané spisy, sv. 3, Péče o duši III, ed. I. Chvatík and P. Kouba (Praha: OIKOYMENH, 2002), p. 80; quoted from the English translation: Third Essay: Does History Have a Meaning? in Heretical Essays in the Philosophy of History, ed. J. Dodd, transl. E. Kohák (Chicago and La Salle: Open Court, 1996), p. 75. Georg Wilhelm Friedrich HEGEL, Sämtliche Werke, ed. H. Glockner, Bd. 18: Vorlesungen über der Geschichte der Philosophie, Zweiter Band (Stuttgart: Fr. Frommanns Verlag, 1959), p. 47. Jan PATOCKA, “Negativní platonismus. O vzniku, problematice, zániku metafyziky a otázce, zda filosofie mùže žít i po ní,” in Sebrané spisy, sv. 1, Péče o duši I, ed. I. Chvatík and P. Kouba (Praha: OIKOYMENH, 1996), pp. 303-336; Negative Platonism: Reflections concerning the Rise, the Scope, and the Demise of Metaphysics and Whether Philosophy Can Survive It, in Philosophy and Selected Writings, op. cit., pp. 175-206. Jan PATOCKA, Kapitoly ze současné filosofie [Chapters from Contemporary Philosophy] in Sebrané spisy, sv. 1, op. cit., p. 98. Jan PATOCKA, “Negativní platonismus …,” op. cit., p. 308; “Negative Platonism …,” op. cit., p. 180. Jan PATOCKA, “Vìènost a dějinnost” [Eternity and Historicity], in Sebrané spisy, sv. 1, op. cit., p. 143. Jan PATOČKA, “Věčnost a dějinnost,” op. cit., p. 214. Hannah ARENDT and Karl JASPERS, Briefwechsel 1926-1969, ed. L. Kohler and H. Saner (München and Zürich: Pieper Verlag, 1985), p. 203. Hannah ARENDT, The Origins of Totalitarianism (New York and London: Harcourt Brace Jovanovich, 1973), p. ix. I borrow this term from the founder of American pragmatism, William James (Pragmatism: A New Name for Some Old Ways of Thinking [New York and London: Longmans, Green & Co., 1907]). Quoted from The Writings of William James, A Comprehensive Edition, ed. J . J. McDermott (New York: Modern Library, 1968). Hannah ARENDT, The Human Condition (Chicago and London: University of Chicago Press, 1958), p. 7. See also Jan Patoèka, Kacíøské eseje …, op. cit., p. 51; Heretical Essays …, op. cit., p. 40. Published in Jan PATOCKA, Sebrané spisy, sv. 3, op. cit., pp. 147-514. Jan PATOCKA, Kacířské eseje …, op. cit., p. 52; Heretical Essays …, op. cit., p. 41. The concept of a “parallel polis” comes from Václav Benda, whose seminal essay on this topic, written in 1978, initiated an important and rich discussion in dissident circles. Benda’s essay “The Parallel Polis” and other contributions to this debate (including my own text “Jan Patočka versus Václav Benda,” which I am developing in the present essay) have been published in H. Gordon SKILLING and Paul WILSON (eds. ), Civic Freedom in Central Europe: Voices from Czechoslovakia (Houndmills, Basingstoke, Hampshire: Macmillan, 1991). Jan PATOCKA, “Čím je a čím není Charta 77?” op. cit., p. 429; “The Obligation …,” op. cit., p. 341. Jan PATOCKA, "Co můžeme očekávat od Charty 77?" in: Sebrané spisy, sv. 12, op. cit., p. 443; quoted from the English translation: What We Can [and Cannot] Expect from Charter 77, in Philosophy and Selected Writings, op. cit., p. 346. Cf. Pericles’ Funeral Oration, in T HUCYDIDES, The History of the Peloponnesian War, 2.41: In short, I say that as a city we are the school of Hellas. Jan PATOCKA, "Čím je a čím není Charta 77?" op. cit., p. 430; “The Obligation …,” op. cit., p. 342.
vysokoškolský pedagog (doc.,RNDr.,Ph.D. ), signatář Charty 77, bývalý politik a diplomat. Překládá díla Erica Voegelina a Hannah Arendtové. Byl mimořádným a zplnomocněným velvyslancem Stálé mise České republiky při OSN v New Yorku, působil jako ředitel knihovny Václava Havla. V letech 1993 až 1994 byl hostujícím profesorem na Severozápadní univerzitě (Northwestern University), následující dva roky působil na Washingtonově univerzitě v Seattlu a v roce 2008 pak na Michiganské univerzitě. V současné době přednáší na Floridské mezinárodní univerzitě mezinárodní právo, lidská práva a politickou filosofii. Je členem Voegelin Society.